Millions of people experience hip pain every year. Many issues improve with conservative, non-invasive treatments such as cortisone shots or physical therapy. Other issues are more difficult to treat or diagnose. If you have persistent pain that interferes with your daily life that other treatments haven't resolved, you may need surgery. Here's what you need to know about hip arthroscopy surgery. How Do Hip Injuries Happen? Hip injuries most often occur because of accidents, repetitive motions or structural abnormalities. Contact sports or repeated movements from non-contact sports such as golf can cause hip problems. Usually, structural abnormalities are related to a problem a person was born with that has accelerated regular wear and tear of their hip joint. What Are the Symptoms of a Hip Injury? There are several indications of a need for hip arthroscopy surgery. The most common reasons for hip arthroscopy are the presence of a hip labral tear, femoroacetabular impingement (FAI) or hip dysplasia. Let's look at each more closely. The labrum is a ring of cartilage surrounding the rim of the socket that keeps the ball joint in place. When this cartilage tears, it's called a hip labral tear. It can tear following trauma, injury or overuse or can co-occur with FAI or hip dysplasia. However, nearly 75 percent of cases of hip labral tear have no known direct cause. Sometimes the labrum can be repaired, and sometimes the surgeon can only debride or remove the damaged tissue. They may also reconstruct the labrum with a graft. CT scans or MRIs often reveal a labral tear, but not always. 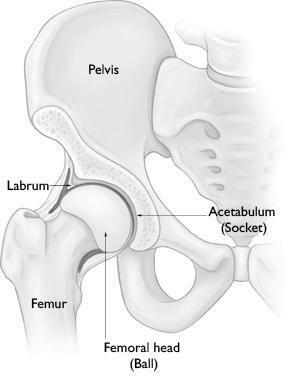 FAI is when joint movement is impeded by abnormal bone growths on the end of the thigh bone (femur) or the hip socket (acetabulum). These growths, called bone spurs, cause irregular contact between the bones and prevent typical, smooth movement. FAI can also damage the cartilage and lead to labral tears. Hip dysplasia occurs when the hip socket doesn't cover as much of the ball as it should, allowing the joint to become dislocated easily. Most people with hip dysplasia are born with shallow hip sockets, although dysplasia can also occur due to abnormal wear and tear of the joint. Hip dysplasia can damage the cartilage in the joint and cause a labral tear. In mild or borderline dysplasia cases, labrum repair through arthroscopy can help eliminate painful hip symptoms. However, it won't deepen the socket. A shallow socket increases your risk of hip osteoarthritis. Hip arthroscopy aims to relieve present painful hip symptoms, but it doesn't eliminate your chance of developing arthritis. With advanced dysplasia, options of treatment include larger reconstructive surgeries such as periacetabular osteotomy (PAO). Hip arthroscopy is a minimally invasive hip surgery using a small camera called an arthroscope. A special type of boot applies traction to your foot, which separates the ball and socket of the hip joint. The open joint, also called joint distraction, allows a surgeon to introduce the arthroscope into your joint. Your healthcare provider also injects fluid or air into your hip with the help of X-ray guidance. Once they confirm the proper placement of the arthroscope, the surgical team will make anywhere from two to four small incisions on the side of your hip. Each typically measures around 5 to 10 millimeters in length. Through these tiny portals, your medical professional passes the instruments and arthroscope into your joint. They can then visualize your hip joint, find the problem and proceed appropriately. How Much Does Hip Arthroscopy Surgery Cost? The cost of hip arthroscopy surgery depends on various factors. Estimates range from about $4,000 to a little over $8,000. Talking with your insurance provider is the best way to get an accurate estimate. The final cost will depend on variables including your insurance coverage, your deductible and your out-of-pocket maximum. The price will include the anesthesia, imaging, lab tests, surgery and hospital stay. You might receive separate bills from each of these providers. All operations come with some risks. Complications can be temporary or permanent. Following hip arthroscopy, it’s rare to experience any permanent complications — most are only temporary. Risks include specific ones linked with hip arthroscopy and standard risks of general anesthesia. About five percent of patients have reported an altered feeling or temporary numbness in their genitalia and groin from this surgery. This feeling comes from the combination of pressure on the groin nerves and distraction of the hip joint at the time of surgery. The numbness usually goes away after a few days, but it could be permanent. Most of these complications are very rare. For instance, the exact rate of infection after hip arthroscopy isn’t known, but would seem to be significantly less than one in 1,000. 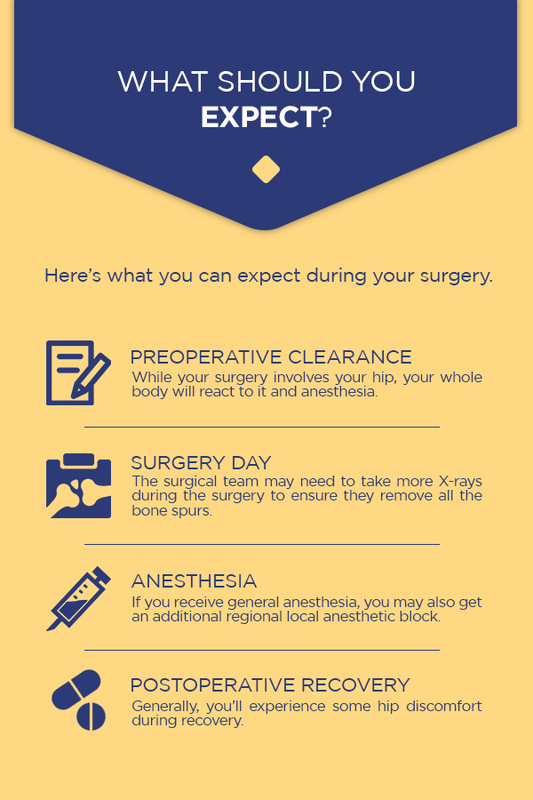 Here’s what you can expect during your surgery. While your surgery involves your hip, your whole body will react to it and anesthesia. Before your surgery, consult with the anesthesiologist, who will discuss your general medical condition, request any necessary consultations with other doctors and order any required tests, such as EKGs or blood tests. 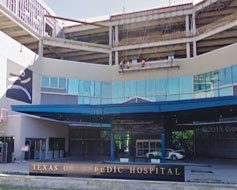 When you arrive at Texas Orthopedic Hospital, you’ll need to sign the Operative Permit the nurse will provide to you. The surgery’s name is “Hip Arthroscopy: Labral Repair, Osteoplasty.” We may include additional procedures depending on the problem or problems around or in your hip joint. You'll come into the hospital in the morning. Your surgery will likely be on an outpatient basis, allowing you to go home the same day. The duration of your surgery will vary depending on what the hip joint problem is, but you can expect it to last anywhere from 40 to 60 minutes. For example, the surgical team may need to take more X-rays during the surgery to ensure they remove all the bone spurs. Inject medicine into your hip to reduce pain after your surgery. Use sutures to close the small incisions. Place further dressing over your incisions. Patients almost always receive general anesthesia for this surgery. If you receive general anesthesia, you may also get an additional regional local anesthetic block. Generally, you’ll experience some hip discomfort during recovery. This discomfort may also be experienced in your buttock, lower back, ankle and knee. We can use appropriate pain medication to reduce the discomfort. There’s often some bruising and swelling in the buttock, groin and thigh due to fluid we use during the operation. After a few days, the swelling will decrease. How Can You Manage Postoperative Pain and Discomfort? You can manage pain and discomfort with ice and medication. You'll want to ice your hip after surgery. Apply an ice pack to your hip — but not directly on your skin — for a minimum of 20 minutes, a few times a day. You can use a cold therapy device such as PolarCare to help reduce the swelling and pain after your surgery. Take your pain medicine only as directed, meaning you can take your pills as needed every three to four hours. Make sure you have food in your stomach when taking the medication since it may cause nausea if your stomach is empty. Call your pharmacy or doctor to refill your prescription if you require more medication. How Long Does It Take to Recover From Hip Arthroscopy Surgery? You'll likely need a minimum of one to two weeks off work for most office jobs. Your hip will be sore when you return to work, but it shouldn't affect your work as long as you don't perform any pushing, lifting, carrying or pulling. Generally, you'll require three months for complete recovery after hip arthroscopy and before you can start any heavy lifting again. While there aren't any rules on when you can go back to work, these are reasonable guidelines that should hopefully help you and your employer get you back into the workplace with ease and at the right time. You might need to limit how much weight you put on your operated leg. You might require crutches for several days or weeks, depending on the specific surgery. You'll additionally use a brace that limits motion of the hip during walking for four weeks. You can remove the brace when you're exercising, bathing, sleeping and sitting. You’ll have a postoperative appointment 10 to 14 days following your operation. Your doctor will inspect your incisions and remove external stitches. At this appointment, you’ll have the chance to get any questions answered. Subsequent appointments will be based on the surgery performed and how your recovery goes. Using the clutch in manual cars, which can flare up your symptoms in the first few weeks. Switch cars with someone if possible. Sleeping on your side. Instead, try sleeping on your back. If you have to sleep on your side, lie on the unoperated side and place a pillow under your leg operated on to keep it held leg level with your body. What Should You Expect From Post-Operative Physical Therapy? You'll get a suitable rehabilitation program following your operation that will depend on the specific procedure performed. Your physical therapist will help guide you to return to sports activities such as running depending on how you’re progressing along your recovery. This timeline is highly variable between people and depends on the operation findings and symptom length before your surgery. In most cases, you should be able to walk relatively free of pain about six to eight weeks following surgery. However, it could take three to six months or more to get back to an elite level of fitness. You can treat any unexpected increase in pain with ice and anti-inflammatory medicine. How Can You Help Prevent Future Hip Injuries? The arthroscopic hip surgery success rate is around 85 to 90 percent. The operation is performed to help restore your hip’s function, but it’s most successful at easing pain. It's often difficult to return to vigorous use of the leg in sports or work. You can prevent further injuries by being careful with your hip. Don't work it too hard. In addition, condition the surrounding muscles to help support your movement. If you have additional questions, you can come to our office at any time to discuss them. We'll do our very best to answer your questions over the phone as well. Our website has a great deal of information on it, as well as surgical animations. Feel free to visit our hip arthroscopy recovery blog as well, which contains lots of helpful information. 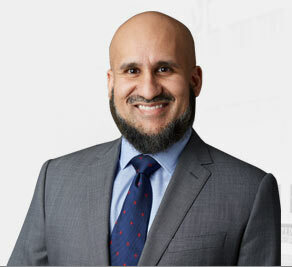 Please fill out our form or call us at (713) 794-3457 to schedule your appointment with Dr. Gombera to check your hip and see if hip arthroscopy surgery is right for you.